Three medical students at the University of Pennsylvania are getting ready launch their LGBTQ-focused health care app, SpectrumScores, by the end of August. The app will connect lesbian, gay, bisexual, transgender and queer patients with doctors who have been recognized as LGBTQ-friendly by advocacy organizations, academic medical centers and, eventually, the app users themselves. 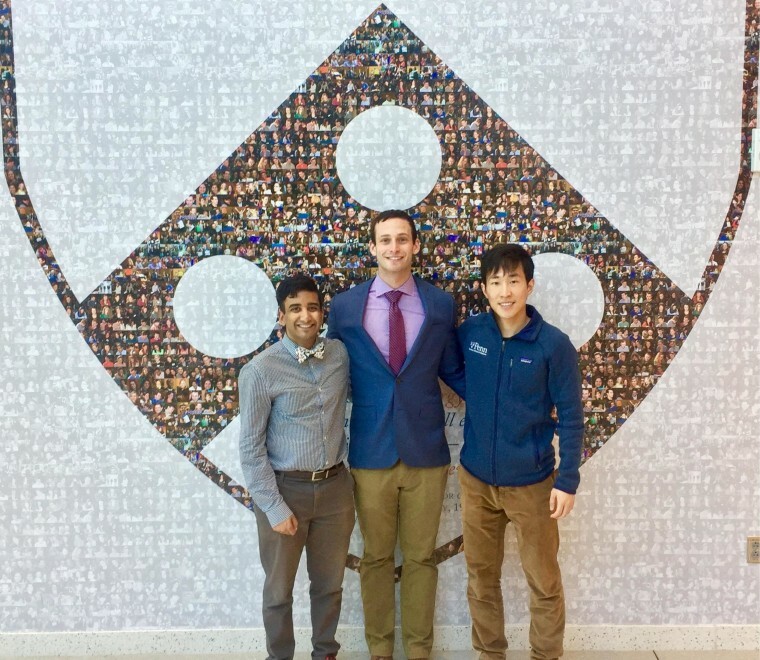 SpectrumScores founders Naveen Jain, Jun Jeon and Phil Williams met each other while brainstorming ideas for their university's PennHealthX competition, where student entrepreneurs develop health care-focused concepts. At first, the trio considered focusing on issues such as blood pressure and acne, but then they changed course. "We all had a collective realization that [those ideas] weren’t really reflective of what we were actually passionate about," Williams told NBC News. Jain, Jeon and Williams are all medical students at the University of Pennsylvania's Perelman School of Medicine, which is is atypical for the competition, because for the PennHealthX program, the university typically connects a medical student with a business student and an engineering student. "We decided that we were going to try and go a bit rogue from the competition — form a group just made up of medical students and find the expertise to move forward along the way," Williams explained. While the three medical students have been able to take the lead on the health care aspect of the app, such as curating its database of LGBTQ-friendly physicians, they have needed help on the technology and business end of things. “Fortunately for us, my brother actually has really extensive coding experience, and he has agreed to help me in good faith," Jeon said. "He's actually in charge of developing the back end ... and we’ve actually outsourced a graphic designer — my brother’s friend — to design all the relevant graphics that are displayed on the front end." Jain, Jeon and Williams hope their app will serve an important need for the community. LGBTQ people are more likely to experience discrimination when trying to access health care, according to a study by the National Institutes of Health, and LGBTQ people of color are particularly vulnerable. In the current iteration of the app, users will have identity-related information displayed next to a chosen username when writing reviews of physicians. The information being displayed will help other users determine how personally helpful another's user's review may be. But, while the information will include items such as their location, sexual orientation and gender identity, the app will not yet ask users for their racial or ethnic identity. "Everything here is voluntary. You can remain anonymous when you write a review," Jeon said. "We have not put anything to indicate their race yet, but [with] later user feedback, if that would prove helpful for the physicians and the user community, then we could put that on there as well." The SpectrumScores team plans on focusing on select cities for the app's initial release -- such as Philadelphia, New York City and Chicago -- but they eventually plan to expand the app's reach across the U.S.